When you drive into Madison you might catch a glimpse of a small green sign that says, “Population of Madison: 7,258” and if you drive just a little farther you’ll see a sign advertising Dakota State University. The town is small and so is the college, but that’s what makes it such a special place to call home. Madison is known for many things, but very seldom can our small town compete on a national level. However, there are at least two exceptions to this. The first one being that every summer the local Dairy Queen sells the most Blizzards in the country on Miracle Treat Day (Apparently the town of Madison really likes ice cream. ), and the second one being the success of Dakota State University. 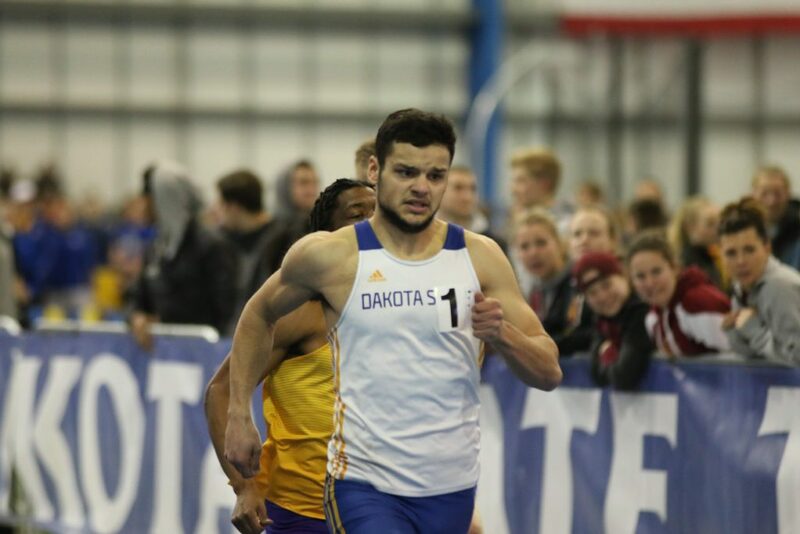 Although Josh Snook does enjoy DQ, the latter is the reason why he chose to travel over 4,000 miles from Bristol, England to attend Dakota State University and run for the track team. The population of Bristol is well over 500,000 and there is rarely any snowfall. Needless to say, the move to Madison has been quite an adventure for Snook. Snook moved to Madison at the turn of the semester and started classes in January. He also started practicing with the track team at the same time. It didn’t take long for Snook to find friends here. His teammates say that whenever you are around him you always find yourself with a smile on your face, not just because of his accent, but because he’s a nice guy who’s always got a joke to tell. However, when it comes to track Snook is all business. 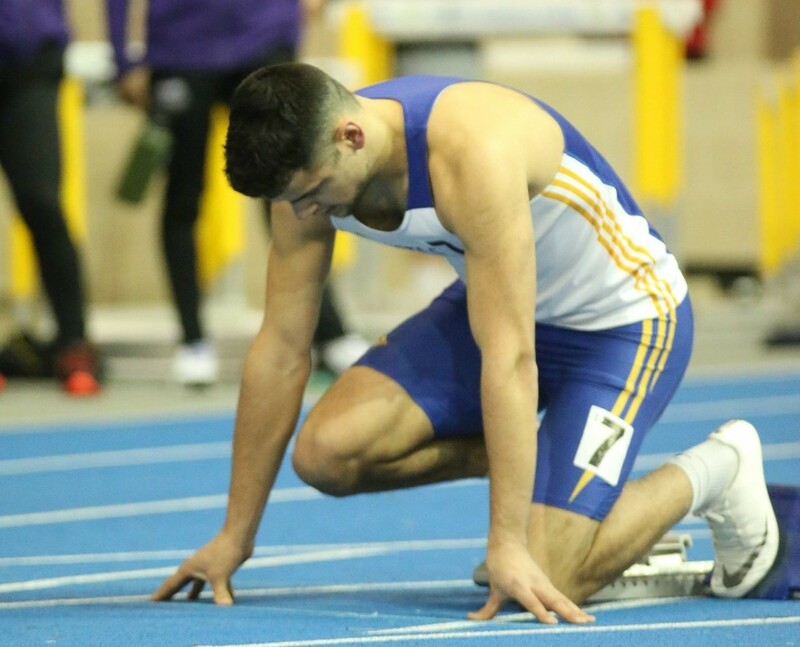 The assistant track coach Cody Foreman said, “Josh is one of the hardest workers on the track team.” He’s always pushing himself to become a better runner and that is part of the reason he chose to come to the United States to run track. The track coaches found Snook through a commonly used recruiting website and reached out to him. Snook said he made the decision to become a Trojan because he had received a good scholarship and liked the thought of living in a small town. (The Dairy Queen was just an added bonus.) The size of Madison is still one of his favorite things about attending Dakota State. He said, “Everyone knows everyone. Even people I’ve never met know my name and you don’t get that back home.” Madison’s close community has quickly become a place that Snook enjoys calling home. However, there are certain things that he misses from back in Bristol. When asked about this he immediately replied, “The food.” Apparently American’s have a strange obsession with maple syrup, but perhaps this could just be a weird craving that the football team has developed. Otherwise, Snook misses crepes the most, our pancakes just don’t cut it. He also misses the weather from back home. One downside about training here is that you are stuck indoors for half the year and when you do go outdoors it’s “bloody cold outside.” While Josh might enjoy eating Blizzards he made it clear that he does not enjoy the snow. Back in England the weather corporates enough that they can train outside for almost the whole season, but to him, the pros of DSU still outweigh the cons. Another reason that Snook was drawn to the United States to run was because of the quality of competition. Back home there are far fewer opportunities to compete and less competition. Here Snook has found a place where he can accomplish the goals he has set for himself. His goal for this outdoor season is to run 46 seconds in the 400 meters; a time that would break the school record and hopefully place him at the NAIA National Championships. However, Josh’s goals go far beyond Dakota State. Snook’s dream is to represent his country and he’s not far off either. His goal is to one day run in a World Championship. Maybe someday the little town of Madison will make a mark, not just on a national level, but an international one. Keep up the Good Work Josh , Your short time Training Target Sprint certainly showed us how to run 400m FAST,Good Luck for the future and if you have spare time Tell your friends in Dakota about Target Sprint there are bound to be some champions waiting to be discovered who would add a whole New country to our ever growing international Target Sprint Sport . .